For Filipinos, November is the usual month to kick off the festive season. Everyone feels giddy and busy. 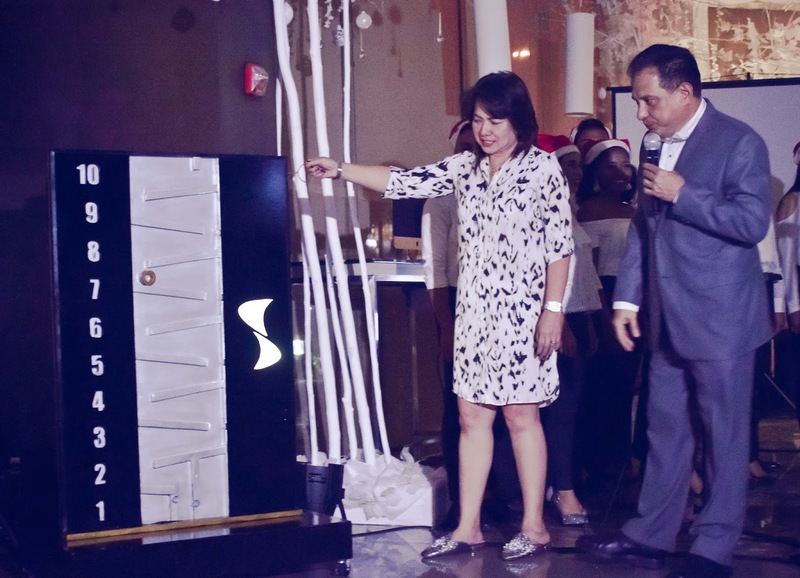 And last November 15, 2018 Seda Atria officially lit up the spirit of the holiday season with its annual Christmas Tree Lighting Ceremony at Misto Lobby Dining. In the light of festive celebration, Seda Hotels continued for the 2nd year, its partnership with Smile Train – a charity that provides 100% free cleft repair surgery and comprehensive cleft care to children with cleft lips and palates. Smile Train ornaments and cards are available for purchase at the hotel lobby to be hung at the Christmas tree. All proceeds will go directly to the organization. This heavenly goodness of rolled meringue with real ube halaya fillings and macapuno tidbits is quite popular not only for the locals but guests from near and far. 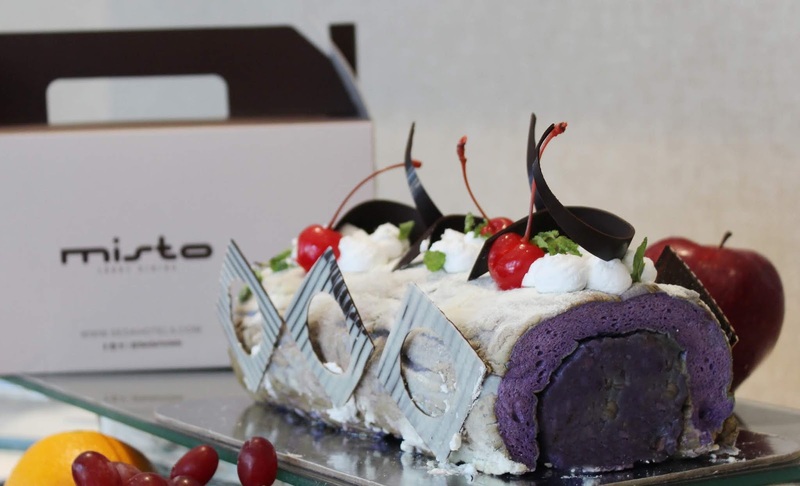 A perfect gift for family and loved ones this holiday, Brazo de Ube is now available in a whole roll at Misto for only Php 550 nett. You need to take a break amid the hustle and bustle that the season requires in order to feel the magic that it brings. Why not have a merry staycation and dream away under the warm and cozy sheets of Seda Atria with the following room promos? From now until December 30, 2018, a Deluxe room will be discounted at P3,600 nett and Premiere Room at P4,400 nett a night. This includes a P500 worth of Misto dining credits, breakfast buffet for two and free use of WiFi, e-lounge and gym. Planning to celebrate the New Year in a festive mood? Stay at Seda Hotel on December 31 for only P6,000 for the Deluxe room or P6,800 for the Premiere room. The overnight stay package includes two tickets for the Countdown to 2019 party, breakfast buffet for two and free use of WiFi, e-lounge and gym. Isn't it nice to feel full and nice after a spectacular Christmas lunch or dinner and a few laughs with family and friends? As the holiday season calls for family bonding over food, Seda Atria saves you the hassle of preparing for hours at your own kitchen with the following festive offerings. Noche Buena Fiesta: After Simbang Gabi with the family, have a night of enjoyable live entertainment and sumptuous buffet in Misto on December 24, 2018 at 6-10pm. Paskwa sa Misto: The gastronomic delights continue on Christmas Day, December 25 for Brunch and Dinner. Each Buffet Promo is only at P950 nett (adults), P475 (kids aged 7-12 years old) and complimentary for kids aged 6 years old and below. New Year's Eve Buffet and Countdown Party. Meet the year 2019 with welcome arms and say Happy New Year to fellow revelers at Seda Atria's Buffet Dinner and Countdown Party. 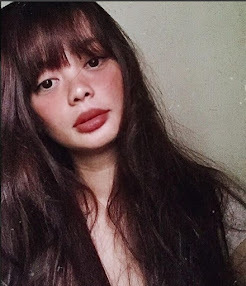 Priced at P2,100, the package includes a dinner buffet at Misto at 6-10pm as well as cocktails, fireworks display, unlimited standard drinks and great hits from their featured DJs at Straight Up Bar at 10pm-2am. You may also opt for just the dinner buffet (P950 nett) or the Countdown Party (P1,500). Organizing a Christmas party for a big group? Seda Atria - the trusted hotel for small and big functions - has the perfect packages for you. Christmas Tree-mendous. Hold a fabulous lunch or dinner buffet with one round of iced tea, waived corkage fee for 3 bottles of wine/spirits, and a holiday token for only P1,100 nett per head. This exciting package also includes one gift certificate for an overnight stay in a Deluxe room with breakfast buffet for two persons. Holiday Delights. Hold a festive lunch or dinner buffet with one round of iced tea and waived corkage fee for the first bottle of wine/spirit at P950 nett per head and one gift certificate for an overnight stay in a Deluxe room with breakfast buffet for two persons. The above packages are for a minimum of 50 persons and include the use of the Satin function room for five hours. Every year, Ilonggos look forward to hearing the songs of Christmas through one of the best choirs of Iloilo City, the JBLFMU Kinaadman Chorale. 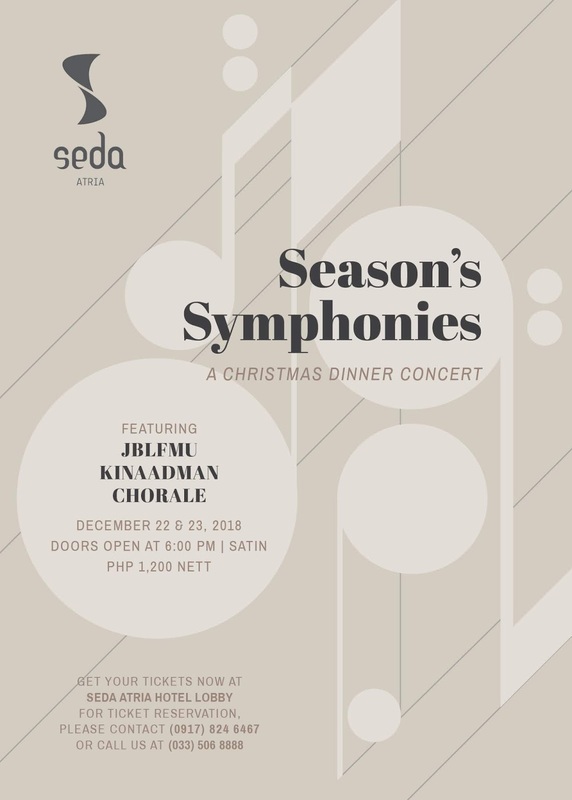 This year, Seda Atria will host the group in what would be a magical Christmas Dinner Concert on December 22 and 23, 6 pm at the Satin function room. You may buy your tickets from the hotel lobby or contact 0917.824.6467 or (033) 506.8888 to reserve your tickets. 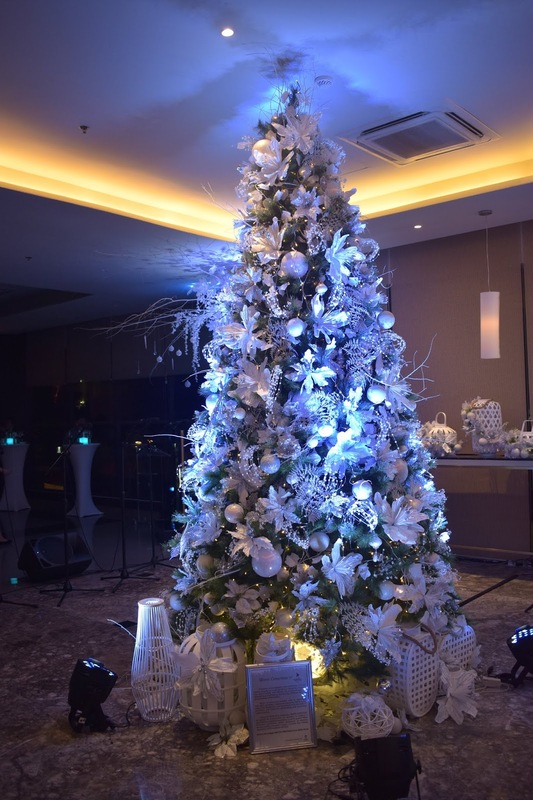 The taste, smell, sights, and sounds of Christmas and a seamless holiday experience are all in one roof - Seda Atria - which offers guests unparalleled convenience, comfort and service at par with global standards. Seda Atria is truly the home of the best feelings in the world. That Christmas Tree is stunning.